Oh hey LFW, it was nice to see you & your funky vibe again. 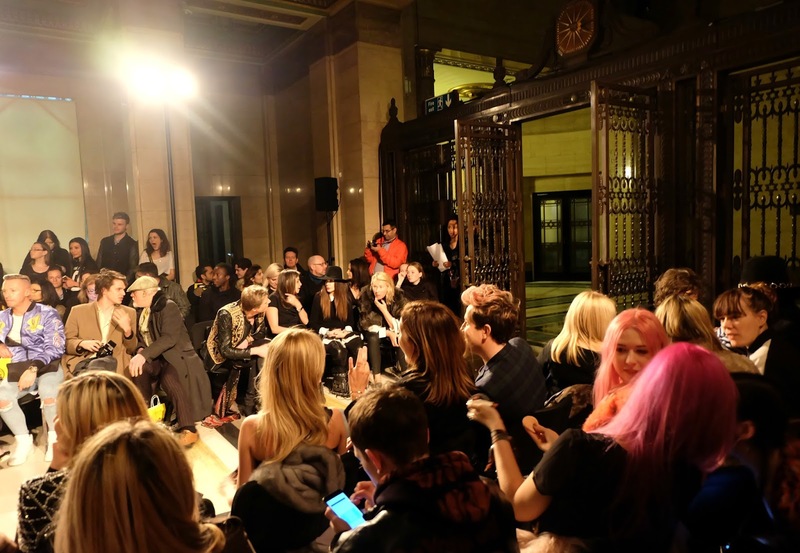 I only went to the Friday & Saturday of LFW this season I'll be honest, though the two days I went were pretty busy. Let's talk about all the shizzle I got up to then yeah? LFW kicked off for me & many others on the Thursday. 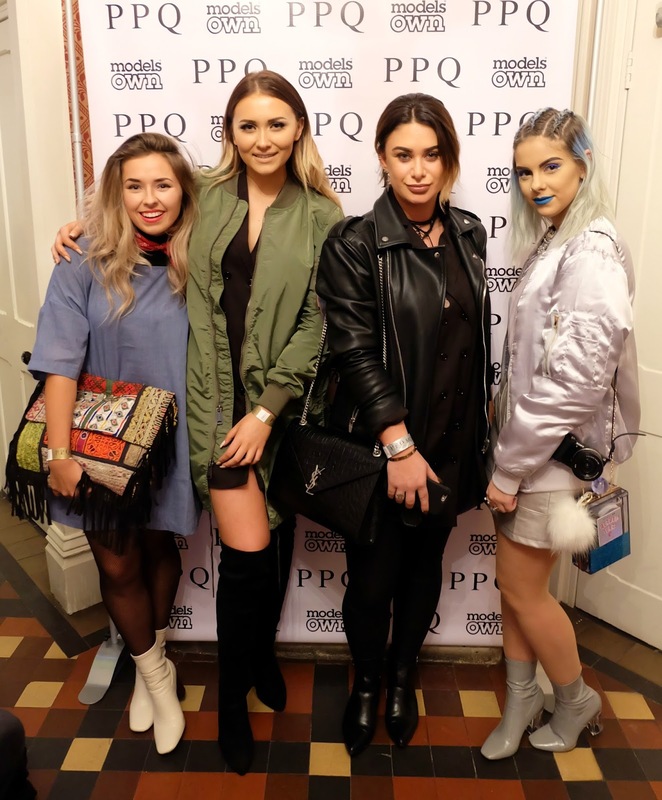 I was invited down to Boohoo 's head office where they were hosting a bloggers gifting lounge for LFW. I was super excited since Boohoo have got some INCREDIBLE bits online right now. as well as a gorgeous Olive coloured corduroy dress with a sweet little wrap belt for your waist. You'll see a glimpse of me wearing my blue dress below! 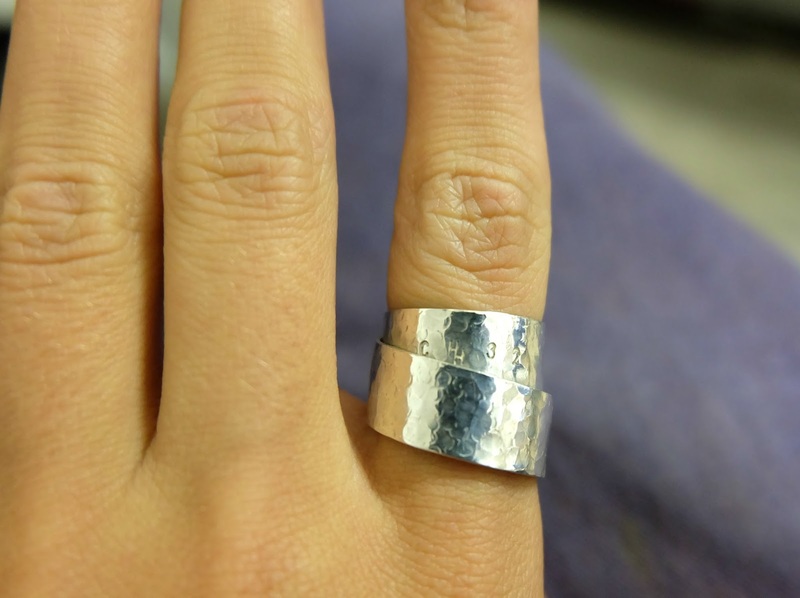 Thursday night I was invited down to the London Jewellery school just off of Brick Lane to take part in a Silver Ring making class. I was super excited since I had never made a piece of my own jewellery before, so it was going to be all very new to me. I've vlogged some bits from the evening & will be posting a couple more photos soon but as you can see above, that was the final outcome for me! I couldn't had been more thrilled with it. There isn't a better feeling than knowing you're walking away with something you're proud of after spending a whole evening working on. I always manage to get myself in to a complete pickle EVERY LFW. Without a doubt I'm stressing over what on earth to wear. This year I was left with more time in the mornings to outfit plan since the amazing Mark Hill were set up at The APTMT this year. This meant I could go and get my hair done each day by the fabulous team & it look salon fresh ERRRRRYDAY! I opted for subtle curls on day 1. I LOVED having the eclipse wand used on me for this look, I had never used that wand before but it's pretty amazing! My go to Mark Hill wand is the wicked waver as some of you may know, that is my ultimate favourite! You can find the wicked waver here. On Friday I took over Daisy Dixon's Instagram account. 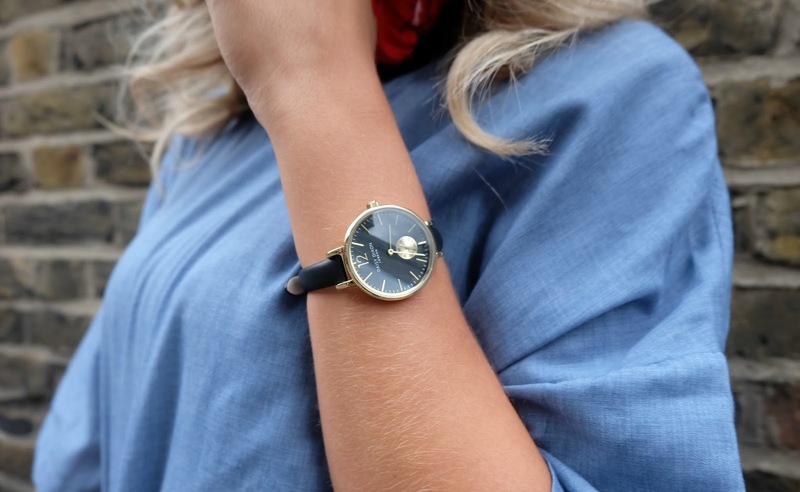 I'm wearing my Gracie watch here, which I'm absolutely crazy over. 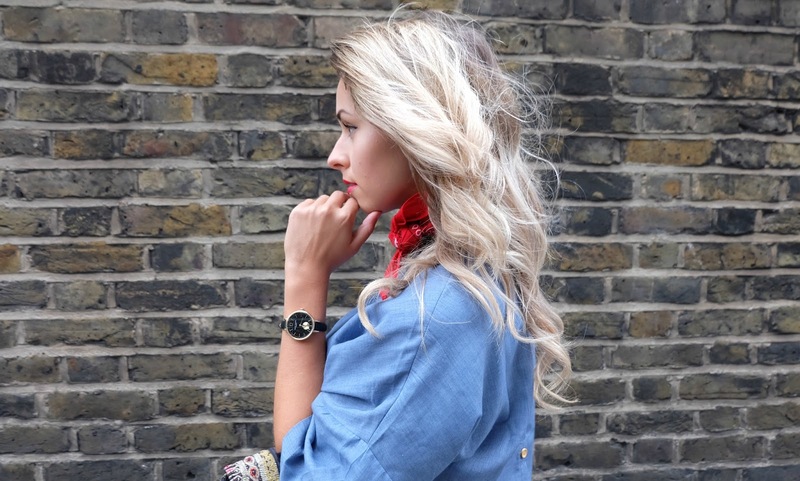 How gorgeous is the thin strap with the big round face on it? I LOVE it. I'm not sure why but it reminds me of a moon, I like moons. I just received my Alexa watch yesterday too, which is seriously beautiful, it's a white larger watch with my initials engraved on the back of the face, I'm very excited to show you guys on Instagram soon! Use CH20DAISY for a sweet little discount! You're welcome. 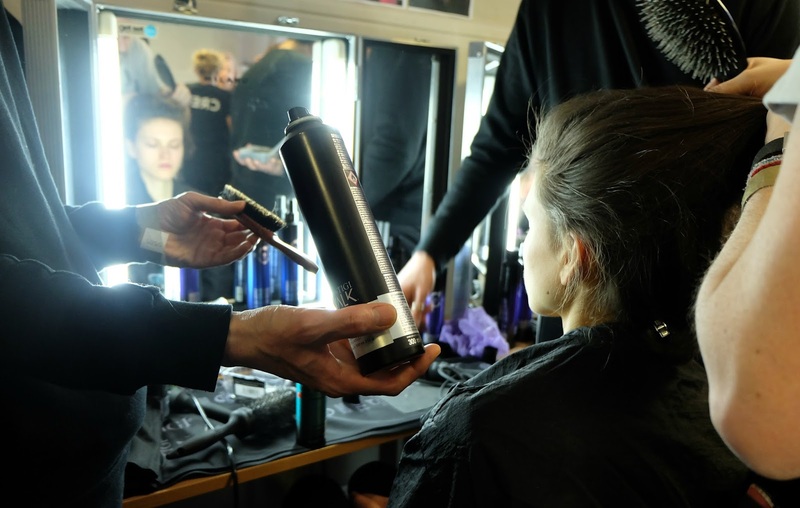 So I was invited backstage with TIGI hair care at the PPQ show Friday afternoon. This was my first time going backstage so I wasn't sure what to expect I'll be honest. It was pretty hot & hectic to say the least! Though the hair & make up team have it so under control, like, fair play to them they were so chilled. There must had been more than 60 heads bobbing around this little room cracking on with their duties, it was magical to take a moment to watch everyone nail what they needed to do. The hair styles were incredible, a beautiful vintage inspired beehive which was right up my street. It reminded me of my prom night that's for sure! The smell of all the TIGI products were bluddy unreal! I LOVE the smell so much. I'm currently hooked on using the TIGI Bedhead Colour Goddess mask. Me & Soph were basically inseparable for them two days at Fashion week! What a fun ol' couple of days. Pam Hogg, oh what a babe. Seriously though, her collections are always on point. I've tried for the past 3 years to go to one of her shows now, each time I've been turned away due to full capacity. This year I was given a priority ticket which I was thrilled with. I couldn't wait to see her show. As always the shows are never on time, that's Fashuuuuun darrrrling! But blimey was it worth the wait. Unlike Nick Grimshaw who couldn't hold on another 5 minutes upped & left! Pfft, you missed out Grimmy babes! I was hit with overwhelming emotion when the show began I'll be honest. I could had cried a little. I'm not sure what the excitement does to me, especially when I know it's going to be a banger. ANYWAYS, Besides the near sobbing experience, Pam Hogg put on a sensational show, my favourite show of the weekend.